This arrived in the post this morning. Bought from eBay for the princely sum of £130. Which is nothing really. If you have to ask what it is, you probably won’t get why I’m so excited by it. 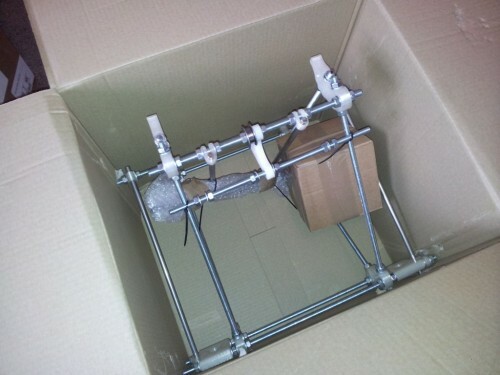 But the skeleton for a RepRap Prusa Mendel Mk2 3D printer is – hopefully – one of the most important things I’ll be taking with me to South Africa. Once I’ve started putting it together (in about three months time) I’ll update here regularly with progress & projects.